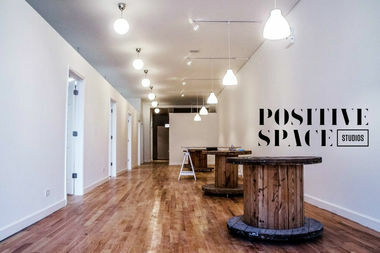 Positive Space Studios, 3520 W. Fullerton Ave.
LOGAN SQUARE — Local artists will soon have a new place to call home in Logan Square. 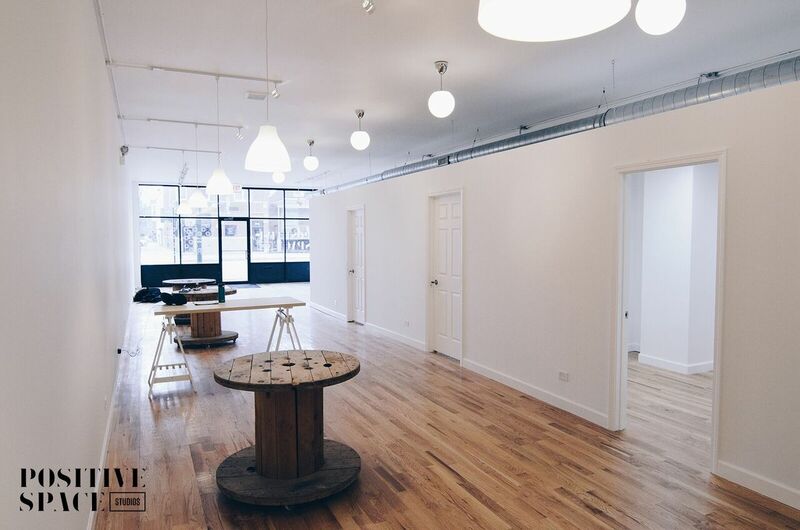 Former art teacher Melissa Mendiola Polonsky and her husband, Jordan, a graphic designer and toy maker, are gearing up to open Positive Space Studios, 3520 W. Fullerton Ave., an art studio/gallery where artists can rent private studios, showcase their work and host classes. "This has been a dream of mine for years ... I can't tell you. I just want to bring artists together," Melissa Mendiola Polonsky said. It all came together quickly. About a month ago, Melissa Mendiola Polonsky was driving down Fullerton Avenue "fantasizing" about owning a studio when she came across the empty storefront. Within a matter of weeks, the pair were finishing up renovations and gearing up for the grand opening. "We still can't even believe it," she said. That's not to say the decision was made hastily. The couple has lived in Logan Square for about 11 years and always dreamed of opening an art studio, but didn't have the time or resources to make it happen until now. Plus, their 3-year-old daughter, Maybeline, is a bit older now, which made the decision easier, Melissa Mendiola Polonsky said. Once Positive Space Studios opens in January, local artists will be able to rent the enclosed private studios. Prices vary from $165 to $725 per month, depending on the size of the studio. There are 11 studios in total. Melissa Mendiola Polonsky said she expects to attract painters, photographers and other artists who don't require large equipment or machinery to make their art. Some of the studios are small and can't accommodate activities like wood-working, for example, she said. The front of Positive Space Studios will function as a gallery, where there will be rotating group and private art exhibits. Art classes and other community events will be held as well. In addition to working for a mobile app company, Jordan Polonsky makes plush toys, dubbed "Fluffy Friends." He also helped run the now-defunct art studio OhNo!Doom in Logan Square. Melissa Mendiola Polonsky worked as as an art teacher in suburban Cicero, until her daughter was born three years ago. She likes to work with mixed-media and collage and intends to teach an art class for children once the business is up and running. Together, the pair are hoping to create a second home for themselves and for artists they admire in the neighborhood they've grown to love. "Positive Space isn't like Jordan and I are your landlords, like we're in charge here," she said. "Everybody that we're bringing in, we're letting them know right off the bat that we want to have a community. We want to be friends. We want to collaborate. We want to see what you're doing, be inspired by you. Everybody who's here ... this should be their home, too."